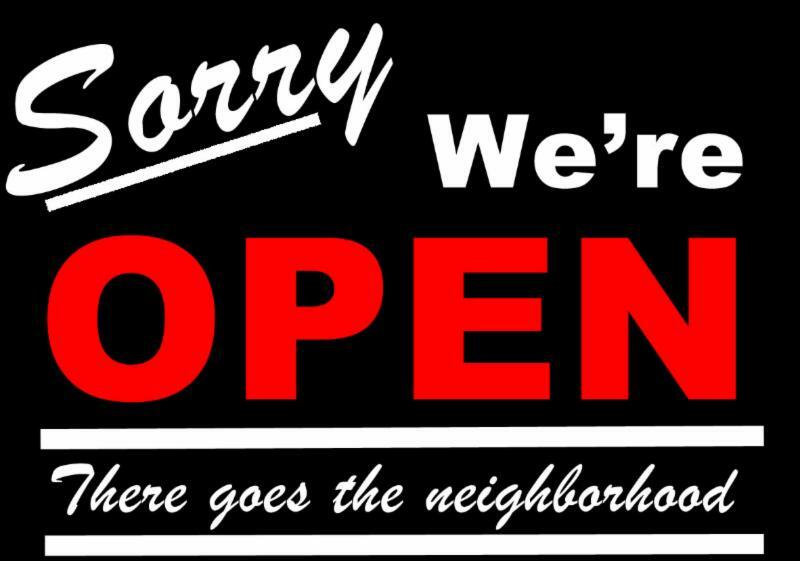 They will be open on Sunday starting at 4:30 for your convenience. Join their Reward and Birthday Programs next time you dine at Abigael's for free meals, special events and more! Free street parking on Sundays & after 7:00 on weekdays. Discounted parking lot also available. And they are now open for lunch Monday - Friday. In-Store Specials: Munchies Monday - Get a free cookie w/any purchase of $15 or more. Take 2sday: Buy 1, Get 1 Free on Falafel in Pita. Win it Wednesday - One person will win $5 lunch money. Thirsty Thursday: Free can of soda with a purchase of $15+/ free bottle $25+. See flyer here. All Schnitzel Sandwiches - Buy 1, get 1 Free (offer expires 6/18/14). Click here for coupon. Happy Falafel Day- Buy One Get One Free Falafel with printout of this email. Valid at both Pitopia locations (today only). 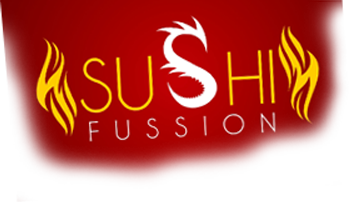 Manhattan location now serves Sushi Fussion's Famous Sushi Pizza. Celebrate Father's Day at Talia's Steakhouse with prix fixe brunch and dinner menus. Talia's will be serving brunch from 11am- 4pm, with a unique combination of contemporary American and Middle Eastern gourmet cuisines. Enjoy waffles, pancakes, shakshouka, Israeli salads, mimosas, etc. at their large sidewalk cafe. Their full dinner menu will be available 5pm - 12midnight. Father's get a special treat! Enjoy a draught or bottle beer on them! Father's Day Special: Free dessert for dads with sit down lunch or dinner (min order). Summer Special: 3 course meal - $25.99 every Monday. Offering affordable takeout catering menu $14.95 pp. Click here for more detail on both specials. With over 20 categories, it's fast and easy to use - click here to order online and bookmark it. And just in time for Grill Season pick up your favorite Rubs and BBQ Sauces from the restaurant or order them online. They will be sending via UPS their famous healthy cookies to the mountains this summer. Restrictions apply. This Sunday, Thank your Papa, Southern Style! Enjoy the uplifting music of Fiddler Nick Stillman & Banjo player and Guitarist Steve Arkin. Their amazing "Old Time" music with hints of Bluegrass and Tennessee Klezmer will have you dancing in your seat. 6:45-8:45 PM. Book Early as space is limited. *FATHER'S DAY SPECIAL: Dads, Mention this post and enjoy a cold beer on them! Sushi Fussion Kew Gardens Hills- Now open till 2 am Sunday -Thursday. Father's Day Special: Get free order of cinnamon sticks with any signature burger. Summer Time Tuesday Special: Get free fries with any signature burger. * Beef or chicken rolled into a egg roll skin and fried. * Tortizza- Either beef and chicken folded in a wrap and toasted with melted "cheeze"
Click here for their new summer menu. Father's Day Special Brunch Buffet - Sunday, Jun 15th, 10:30 am - 5 pm. Only $11.98 pp; with RSVP by Friday, June 13th only $9.98 pp. Click here to see flyer with menu. Now serving NON-Spicy guacamole! Menu is expanded - more healthy options now available. New Baked Apple Pie Served in a Home Made Cinnamon Taco with Ice Cream. Lunch Deal: All Salads, Wraps, and Sandwiches $2 off with a FREE DRINK. Dinner Deal: Come and call it in the air for a chance to win up to 20% off your entire order. Onion Rose 1/2 price with any order. 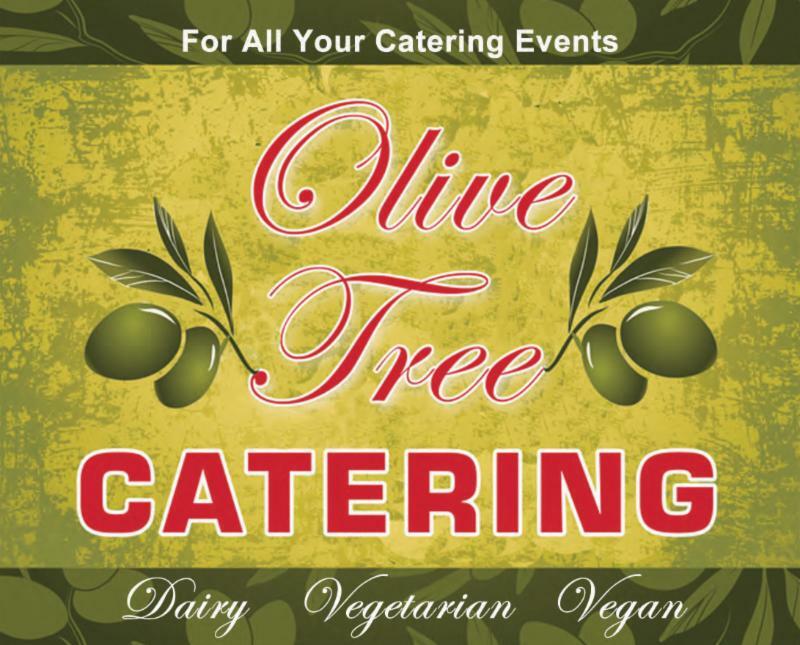 Now catering all events, call 732-534-5511. 18" Pie - $9.99 plus tax (Anytime - No Restrictions) Good to the Last Bite! Let them fire up the grill for your Father's Day celebration this year! Chef Gabe and Tierra Sur team have created some very special menu items for Father's Day, like a BBQ Brisket Sandwich and Steak Frite to name a couple. They will also be serving Stagecoach Stout (and Oatmeal Stout style beer) on tap - all day. In addition, Herzog Wine Cellars is offering specialty wine tastings of an outstanding international selections from noon to 5:00pm at the regular tasting price (FREE for club members!). You are invited to join them in celebrating their 9th anniversary being open to the public. Guests will enjoy fine wines and special treats prepared by the chefs of Tierra Sur. To make your FREE reservation, please click here. Enjoy a private 7 course wine paired chef's dinner at Tierra Sur with David Herzog, CEO of Royal Wine Corp., who will share the history of the Herzog family heritage spanning eight generations. Dinner Price: $140 Members ($175 non-members). Only 60 tickets available. They invite their World Tour Club Members to join them at the winery for an evening of imported wine tasting, delicious small bites prepared by Tierra Sur and for some great company. Sample the wines of your July shipment while you come to pick them up. This event is free to all World Tour Club Members and their guests; however, space is limited. Please make your reservation here. Mike's Bistro, one of Manhattan's most popular meat restaurant, will serve its last dinner service at its current location on the Upper West Side on June 18th. We broke the story 7 months ago that plans were underway to move to 127 East 54th Street (between Lexington and Park Ave), and we have now confirmed they are moving to the East Side next month. The new 180 seat establishment will be twice the size of the original location, and will feature 5 private rooms and 25 seat bar. 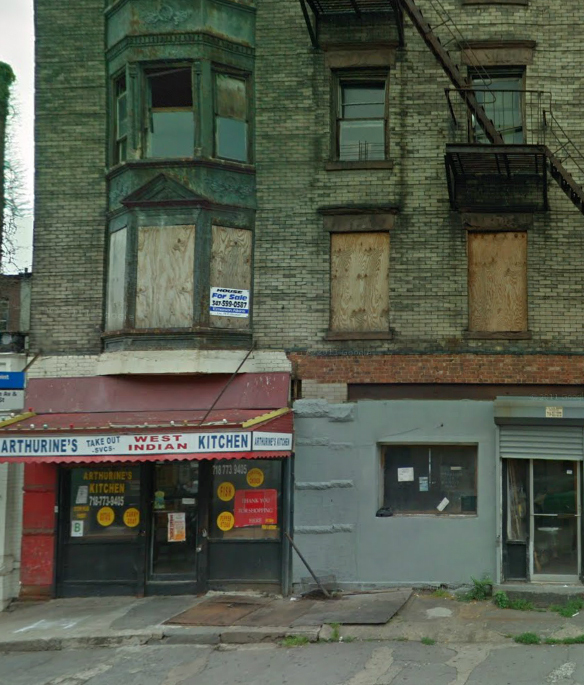 From The Lo-Down: "Despite numerous reports to the contrary, the kosher pizzeria at 357 Grand St. remains in operation. A legal battle over its forced departure continues in court [today], as the landlord attempts to collect back rent and reclaim the space. Between serving up slices and dispensing sodas to a bustling lunch crowd, Shalom Chai owner David Tgar told us a little while ago that he intends to continue business as usual until July 31, the date he negotiated with landlord Seward Park Co-op as part of a legal settlement earlier this year. "It's all rumors-that we're closed," Tgar said, in reference to reports in various media outlets decrying the demise of the Lower East Side's last full-service kosher restaurant. A marshal's notice of impending eviction, posted on the door of the restaurant on Friday, May 23, prompted declarations that the restaurant had already served its last pizza-speculation that escalated all the way into a New York Times piece [yesterday]. But Shalom Chai reopened as usual after the May 24 break for Sabbath, and has continued normal operations since. "I'm going to stay as long as it is possible," Tgar said this afternoon. For more, click here. Continuing in the popularity of the non-kosher trend, this past year has seen a surge of kosher food trucks in Manhattan. While some are located in one spot, some move around from day to day, so the best is to follow them on FB or Twitter. And not only that, the Brooklyn Navy Yard contacted us last week to see if we can get a kosher food truck to appear in their line of food truck vendors. More details to follow. Mark Roth and his wife started Tova's All Natural line of products as a Pesach "pop-up" 3 weeks before this Pesach, It was with a goal to offer a different kind of Pesach pastries - gluten and dairy-free with no artificial colors or preservatives, but they didn't know how successful the products would become. Fast forward a month and they are now carried in 15 stores in NY and NJ and serve at multiple synagogue fundraisers. 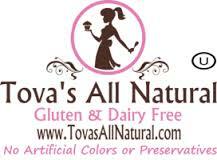 Tova's All Natural Bakery is now in a different facility and under OU supervision, and they are working on expanding their product line and retail distribution. To create their delectable baked goods they utilize almond flours, create their own organic food dies, and use only natural high-quality ingredients. Except granola, all products are also kosher for Passover. The products can now be purchased online, and they are available for special events catering. Fumio Grill & Sushi in Livingston, NJ is now under the Orthodox Supervision of KOA and Rabbi Shloima Isaacson. They will be open for Father's Day. which will be located at 95 Kennedy Blvd. will be open in about 10 days. contributes to the living room feel. 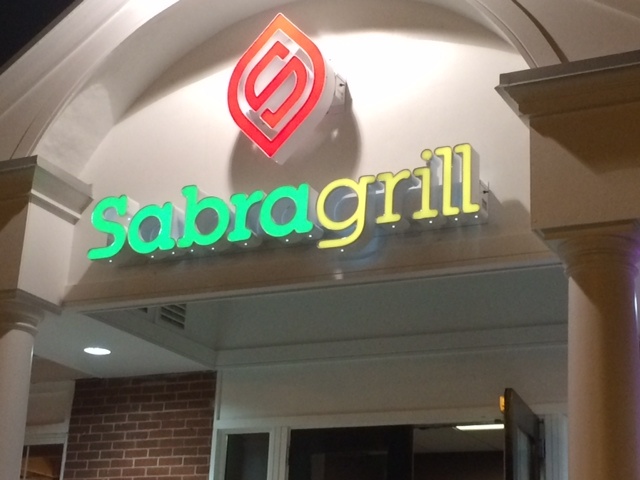 The glatt kosher Sabra Grill, owned by Israeli-born David and Ruth Cohen serves classic Middle Eastern fair of falafel, shawarma, kebabs, specialty appetizers and sandwiches like borekas or shakshuka, and more, under the supervision of ROKS - Rochester Kosher Services. See the menuhere. You can also read more about them here, or follow their Facebook page. 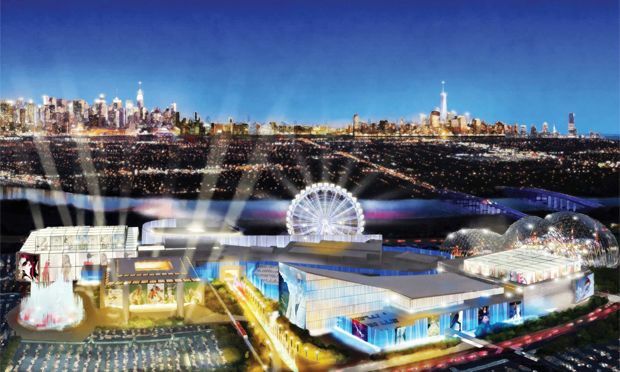 The long-delayed megamall project in the Meadowlands sports complex in East Rutherford, NJ was renewed by the Ghermezian family, after signing a union agreement in April, 2014. The Orthodox Jewish family counts among its properties the Mall of America in Minnesota. The good news for the kosher customer here is that an inside source told "Great Kosher Restaurants" that the complex will include a full kosher food court, with several kosher vendors offering upscale and casual fare. The $2 billion project featuring a waterpark, Hollywood-themed amusement park, retail and dining is scheduled to be completed in the fall of 2016. To see a news video of the project, click here. After we announced a not-yet-named Smokehouse Restaurant in Surfside a few weeks ago, Restaurateur Extraordinaire Baruch Sandhaus says he will neither confirm or deny the restaurant happenings on Harding Avenue. Hmm. But the restaurant looks like it could be ready in a couple of months. Meanwhile, you can suggest a name by going here. However, Sandhaus has confirmed thatRARE Steakhouse is here to stay at 4101 Pinetree Drive in Tower 41 and that RARE will be rolling out a completely revised menu (more family friendly) in the next few weeks. 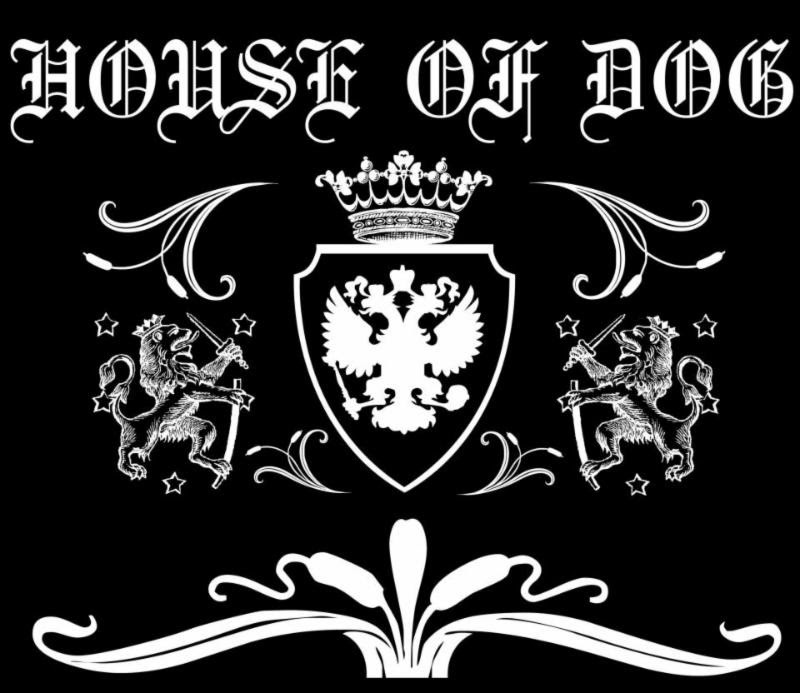 Also, we got word that his House of Dog in Jacksonville is hoping to open soon after Tisha B'Av (mid August). 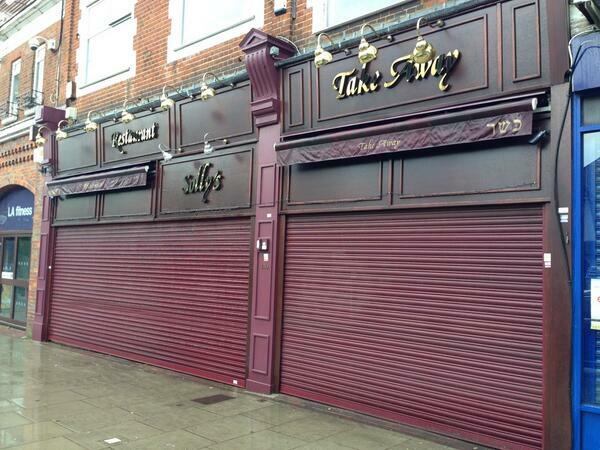 Solly's, London's shawarma restaurant, much loved by public and endorsed by One Direction's musician Harry Styles, closed it's doors on June 3 despite the efforts to save it through an active social media campaign by their loyal customers. One of the first kosher Israeli restaurants in London, Solly's had been bringing the tastes of Israel to Londoners for 24 years. It will be missed. location at 5200 Ventnor Avenue (next door to Bubbie's Bistro). spacious restaurant. The restaurant is open from 12pm-10pm. Click here for more pictures and information on Jerusalem Kosher. 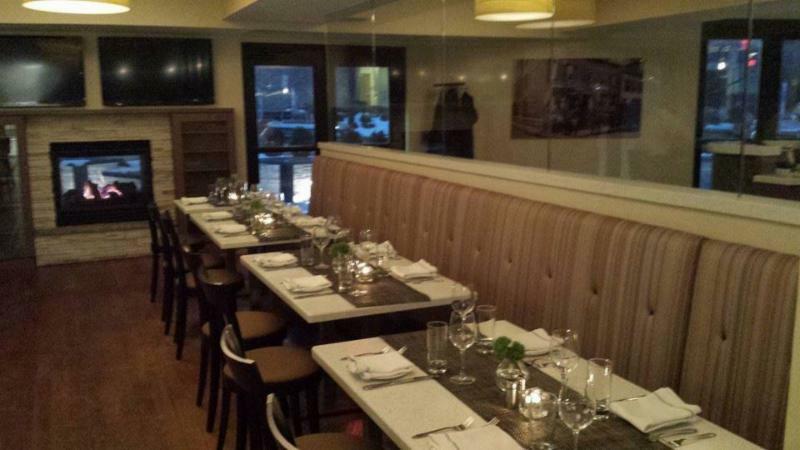 Char Bar, a new kosher restaurant, is opening at 2142 L Street NW next month. 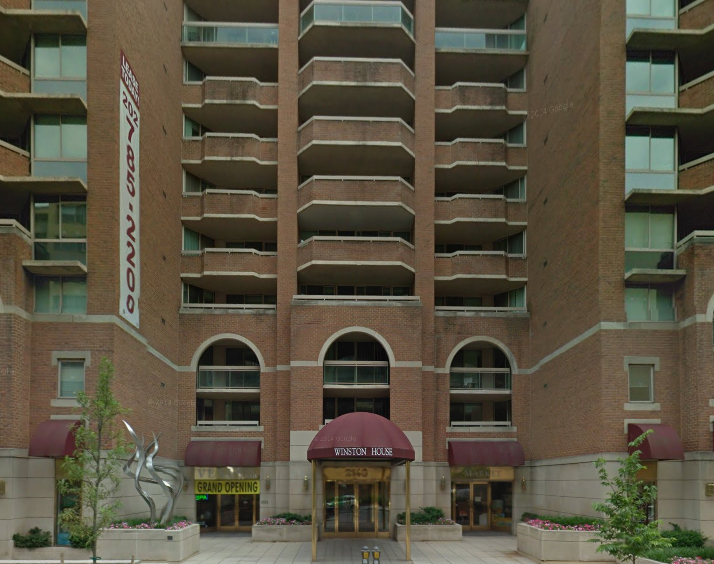 The restaurant is located on the ground floor of The Winston House, an apartment building north of George Washington University (see photo to right). Owner Sina Soumekhian says the 3,000-square foot restaurant will seat 75 and will offers a variety of meat, from steak to ribs, cooked over an open grill. A small wine bar will feature a variety of Israeli wines. Soumekhian says Char Bar's appetizers range from $7 to $11; salads, $10 to $19; sides, $5; and entrees, $20 to $34 and will be under the supervision of The Rabbinical Council of Greater Washington. Besides the dining area, Char Bar has a take-out area where prepared food is sold by the pound and a food market with a separate entrance. The food market is called Char Bar Eli's Market, named after Eli's Restaurant at 1253 20th Street NW (also owned by Soumekhian). 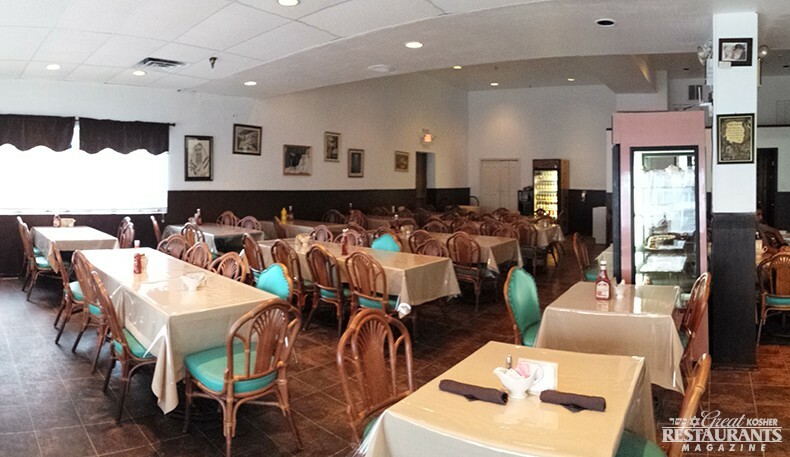 Last February, Soumekhian opened Blue Star House of Beef, Burgers and BBQ, a kosher barbeque restaurant at 11417 Woodglen Drive, North Bethesda. In the first week in June, he is opening Café Centro, a kosher dairy restaurant in the Jewish Community Center of Greater Washington, 6125 Montrose Road, Rockville. 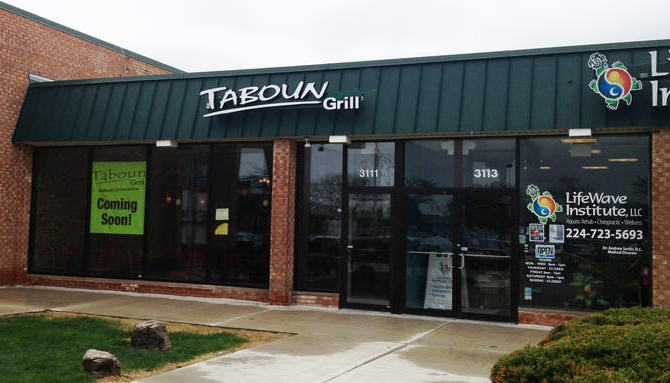 a popular destination in Skokie, has opened in Northbrook. The restaurant opened its doors on May 19th in the White Plains Shopping Center, at the crossroads of Dundee and Landwehr. Phone number is (847) 272-7378. Click link for more on the opening. Yeah that's Kosher reports that Milk Street Café, the only kosher restaurant in the city of Boston, will undergo a massive revamping this summer that will include renovations and a revamped menu. Click here for more on the story. 9460 Harding Avenue, but they need your help in choosing a name. Go to their Facebook page hereand submit your choices and you may get your favorite dish named after you. The Chabad of Japan has opened up a new restaurant in Tokyo called Hana's Place! Featuring special Mother's Day menu - view it here. Mother's Day Special: A complimentary glaass of champagne to every mom with meal on Sunday, May 11. La Brochette - On Mother's Day, every mom gets a free drink - virgin or alcoholic. Kids menu available. See flyer. Celebrate Mother's Day 2014 at Talia's - they will be offering brunch and dinner prix fixe menus for Mother's Day, May 11th. Brunch will be served from 11AM until 3:30PM, followed by dinner service. Large outdoor cafe available weather-permitting. See their Mother's Day brunch and dinner menus. Celebrate the Moms in your life with an early Dinner & Complimentary Champagne Toast, Sunday May 11, 2014, 3:00 pm-10:30 pm. Discounted parking available @ Icon Parking 14-26 South Williams Street. View flyer. Check out their new menus: lunch, dinner, dessert, and cocktail list. During the week of Mother's Day, enjoy their chef's special 3 course meal for $20.14. And dessert is on them. Must mention this email for special. Click here for ad. Join them for Mother's Day Special Brunch Buffet, Sunday May 11, 10:30 am - 3:00 pm, ONLY $11.99 pp ($9.98 with RSVP by Friday, May 9). See the flyer and menu here. Honor your Mother by treating her to Shalom Bombay's ultra lavish lunch buffet! They will be serving exotic addicting dishes, delicately prepared by the finest Indian culinary chefs in the world. Make your reservation today by calling 201-530-5939, or email shalombombay@yahoo.com. Buffet will run from 12-3pm Adults only $17.95, Kids Under 12 $12.95. All Mothers receive a complimentary dessert. Celebrate Mother's Day at Hamachi with a special 5-course menu, with kids' option available. Mother's Day Special - All moms receive a complementary glass of wine with their dinner. We reported several months ago that the famous but non-kosher Luzzo's in the East Village is opening their first kosher location at 261 Madison Avenue (between 38th and 39th Street, near Grand Central Terminal), called "Pizza Al Volo." The latest we heard from the owner was they are still under construction and they are shooting for a Fall opening. Rabbi Aaron Mehlman announced that all Pinkberry (frozen yogurt) locations on the Upper West Side are no longer certified kosher under National Kosher Supervision. This applies to the 93rd and Broadway and 70th and Broadway locations. Rabbi Mehlman has withdrawn his hechsher due to the introduction of multiple non kosher items that include "sugarpova," a gummy candy topping, cookies, and a warmed-up apple pie. Read more here. the NBA playoffs. Click here for pictures of the new place and their dishes. 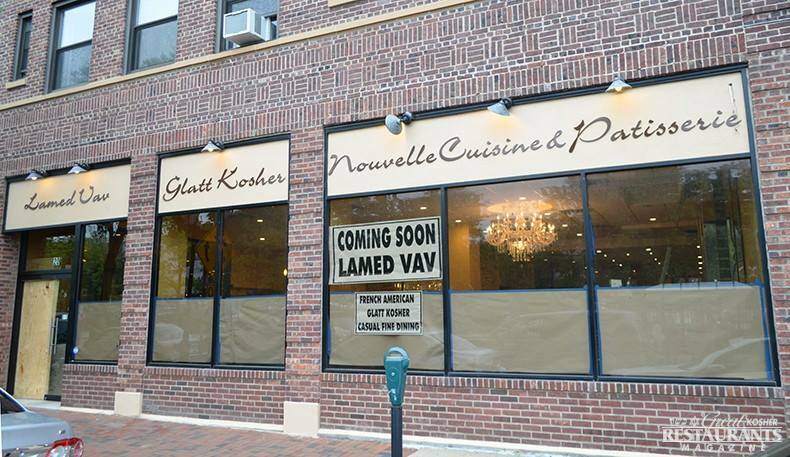 Great Kosher Restaurants had the exclusive opportunity to get a sneak peek this week to the new-but-not-yet complete renovation of the restaurant. Click here for pictures. They will be re-opening this Sunday with a light start menu for Mother's Day, but the idea is to have a casual lounge dining area with couches when you first walk in and then waiter service, fine dining in the next room. 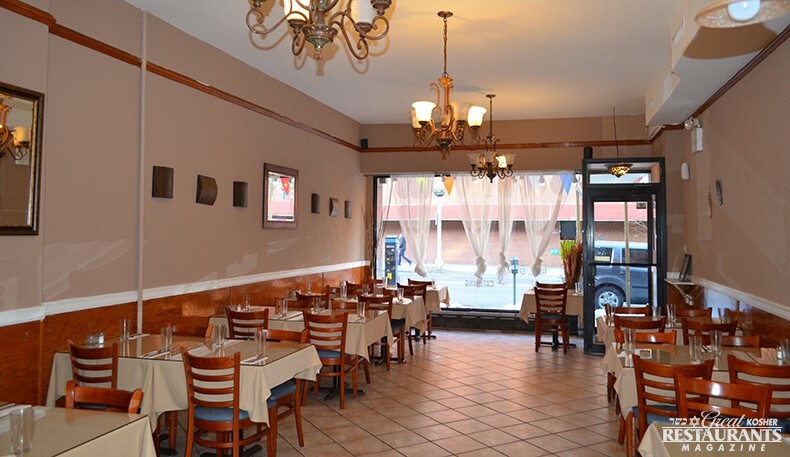 Masago, the Asian-themed restaurant on Broadway in Woodmere has closed. Owner looking to sell. Serious buyers please reply back for details. Click here to see photos of yesterday's family and friends opening. Thanks Zalman C. for the pictures. Meanwhile, today is the official grand opening so check them out. And click here for a hilarious, only House-of-Dog kind of opening announcement. 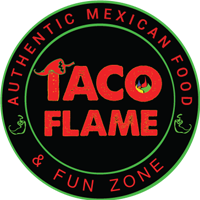 Taco Flame has opened at 5450 West Pico Boulevard (off Hauser Blvd). YeahthatKosher.com reports that "This classic Mexican restaurant, with a menu seemingly similar to the East Coast's Carlos & Gabby's, should not be confused with the wildly popular Mexikosher in the neighborhood. Some menu items include a "flame party plate" of quesadillas, sopes, nachos, taquitos, & guacamoles; multiple flavors of burgers and burritos, fajitas, tacos, and the usual soups and salads. They even have a Kids Menu to compliment their Fun Zone with a slide and ball pit, Wii, Kinect, and air hockey!" And Mazal Tov to the new YTK baby! Passover at Abigael's is always a welcome event for visitors and locals alike. Offering private and communal Seders, Abigael's is also open for Passover Week with a new and exciting menu, as well as extended hours. View their Seder and Chol Hamoed menus. For more information, and to make a Seder reservation, click here. Now Upper East Side has its own Kosher for Pesach destination! 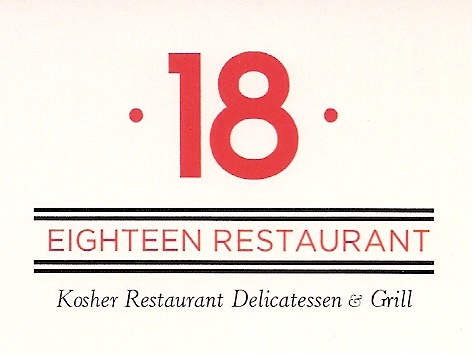 Eighteen Restaurant will be serving Passover Seders, $85 adults, $40 kids (under 12). View their Seders menu here. View their Passover catering menu here. Check for their Passover hours of operation here. View their menus here. and Rockefeller Center Delivery menus. Mr. Broadway will be open both Seder nights and Yom Tov and all of Chol Hamoed. Chabad French Jewish Cultural Center will be making the Sedarim and holiday lunches at Mr. Broadway. For prices, menus and registration, please visit their website. Prime Butcher Baker is ready for your holiday shopping needs with a full menu of Passover items including freshly baked goods and for the first time ever, a complete line of Kosher for Passover charcuterie. 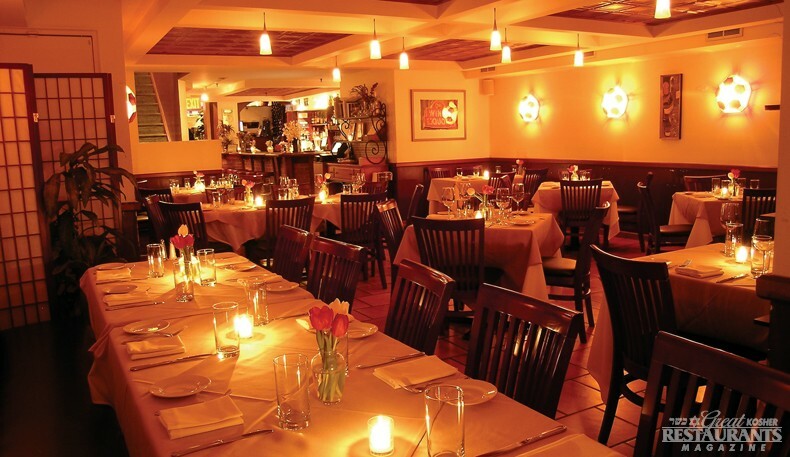 View their extensive Passover takeout menu, as well as a selection of familypackages. The Prime Grill will be open on Passover. Book now for unforgettable Passover Seders and chol hamoed mealsFor Passover Seders they will serve a 4-course meal, matza, wine, hot and soft drinks included. One seating only. $150 pp/$85 (children under 10) + tax &18% gratuity for 1 seder, or $275/$145 for both. Full pre-payment is required. Guests will have a choice of a Group Seder celebration or a Private Seder. They will be open for Chol Hamoed. View their menu here. Passover Seder Packages will also be available. Find out more and make reservations here. 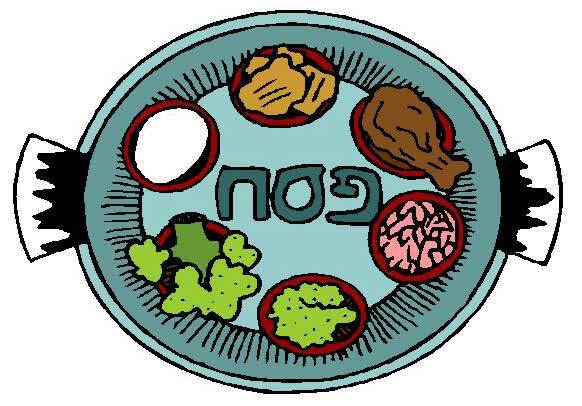 Check their menus for Seder, for Chol Hamoed, for Yom Tov Lunch, and Yom Tov & Shabbat Dinner. View their takeout Passover menu here. Click here for the holiday meals information and reservations. For details and reservations please call (305) 397-8733. 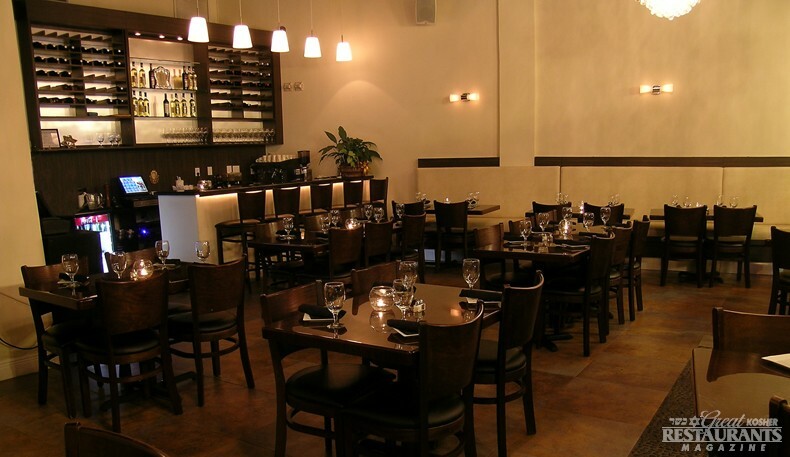 Rare Steakhouse will be serving Seder, Yom Tov, and Chol Hamoed meals. For details and reservations call 305-532-7273 or email them at passover@raresteakhousemiami.com. For details and reservations please call (305) 936-1800. For details and reservations please call (310) 858-1652. Plans are already underway to expand both floors of the popular Upper West Side restaurant Prime Ko. They have taken over the location of their neighbor and they will be extending their first floor Prime Ko space and adding a Burgers/ Hot Dogs/ Sports Bar concept with a great beer and drinks menu downstairs, under the name Prime Burger with a totally separate entrance and phone number. They are set to open April 1st when we will publicize their phone number and website. But stay tuned as this is just developing. 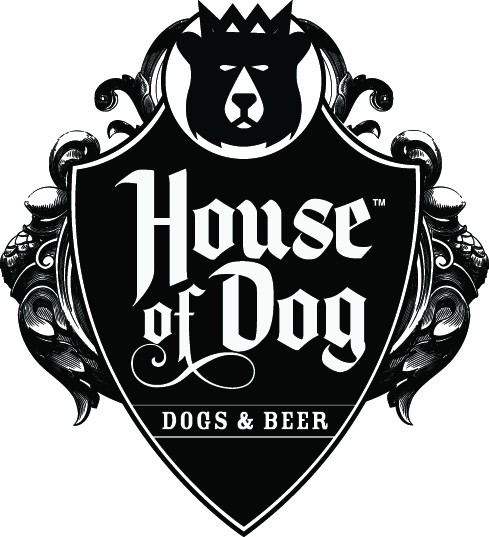 GKRM broke the news a few months ago that HOD will be moving into Boca, and we can finally announce that they will also be opening up north in Jacksonville, FL at 10950-36 San Jose Blvd., which is just 5 minutes off I-95. Jax is less than 2 hours north of Orlando and 5 hours from Miami. Construction is about to begin but it shouldn't take more than 6 weeks. Meanwhile, Boca is about 3-4 weeks away from opening. And do they have plans to keep going north? Meanwhile, the Miami Beach locale has just come out with a new menu, and you can find it exclusively here. Introducing Make Your Own Pizza Party with their professional chef. Pick your own toppings. Perfect for small get-togethers, kids parties and birthdays. View their ad here. Through the end of March: Falafel + Soda only $5.95, print coupon. Prime at the Bentley & Chabad North Haven in The Hamptons present The Purim Party 2014, on Saturday, March 15th, 9:30 pm - 1 am. Hors D'eouvres & Premium Bar, $36 includes one free drink. See flyer. Talia's will be open on Purim night until 4am with live music! On Sunday, bring family and friends for your Purim seudah with special prix fixe menus available. Additionally, you are welcome to break the fast on Thursday, March 13 at Talia's with live music as well. For seudah menus, click here (subject to change without notice). Enjoy an Early Purim Dinner Special on Sunday, accompanied by homemade Hamantashen. They will be closed Saturday Night, March 15. Reserve Cut now has extended hours every Friday for Lunch, 11:30am - 2:30pm. Purim Party, Monday 03/17: Make your reservation for a dinner "à la carte" (no entrance fee) and enjoy some live music, our Purim raffle and costume contest as well as a complimentary house cocktail. View flyer. Purim Special: Enjoy a FREE glass of wine with your entree. See their updated menu here. Eat all you can: $2.95 - Whole Falafel and Unlimited Salad Bar! All day, every day. Purim Special: Sushi Platter - $25 for 64pc. Vegetable Rolls for Mishloach Manos $2.75 and up. Pre-order now, free delivery. View flyer. Purim Special: FREE Glass of Sangria All Weekend w/Entree (21+). Open Megilla Reading for all on Saturday night, March 15; upstairs open to the public, downstairs -private party for Roots Purim Bash after Megillah Reading. T-Fusion will be OPEN Purim day, March 16 for lunch & dinner, and available for parties. W&L Brooklyn presents BULLETPROOF STOCKINGS, an Alternative Women's Chassidic Rock Duo, on Monday, March 24th. Doors 8:00 Show 8:45 PM. $15 cover plus 2 drinks or food order. Call 718.627.4676 to reserve, space is limited to 45 seats. Please note this is a WOMEN'S ONLY Event. See flyer. Featuring Shabbos Takeout Special for $34.95: one soup, one chicken, two sides. Lots of extras available. See menu here. Purim Takeout Specials - view menu here and order by Friday, March 14. They have added a smart car fleet and now offer free delivery service (min order requred) in 5 Towns/Far Rockaway area! Featuring new Shabbat Catering menu, $25 Friday Night, $28 Shabbat Day, minimum 20 ppl. View menu here. Also see their new takeout special menu here. They will be open Purim night from 10:30 pm. Free delivery. See flyer. Purim Platter Special: 10 Vegetarian Rolls $50; 8 Assorted Fish Rolls + 2 Special Rolls $65. Viewflyer. On Purim Night, Saturday, March 15, join them for a Swanky Prix Fixe Cocktail Party. 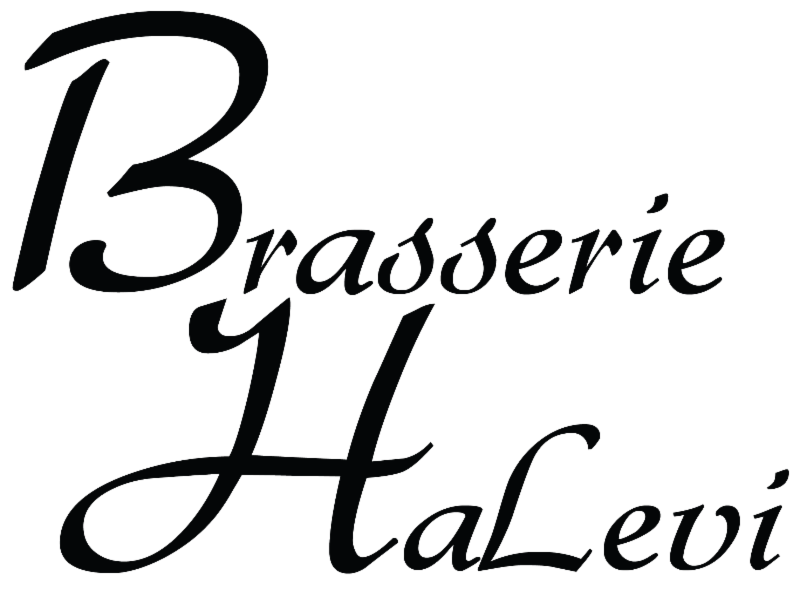 Hors D'oeuvres Service and Buffets from 8:30 pm to 11:00 pm. Cash Bar & Cocktail Service to midnight. Megillah reading at 9:30 pm. View flyer. This Friday, 3.14 is Pi Day: Come to Milt's for lunch and watch Life of Pi while you eat. They'll start the screening ASAP after opening at 11:30 am. Reservations are recommended. Exciting news: Kosher Cajun website updated! Visit www.koshercajun.com and check out the new Fresh Sushi Fridays menu, as well as the amazing pictures of their dry Kosher for Passover products ready for sale. Refrigerated and frozen Kosher for Passover items coming soon. Shop early for best selection! For their Wine Club Members and their guests, Tierra Sur presents BEER PAIRING night on March 17, 6:30 pm: four pairings of unbelievable cuisine complimented by Island Brewing Company's artisan beers. $35. Reserve here. Herzog Wine Cellars has recently hosted 8th Day for their brand new music video: "Hooleh". Watch it here. Basil Pizza & Wine Bar in Crown Heights has bought the building just 5 blocks away from the dairy restaurant at 115 Kingston Avenue (off Bergen Street) and will be bringing Southern comfort food style with him, including the hottest trend in the kosher market, smoked BBQ fare. Stay tuned for photos of the construction. Sarit's Grill in Brooklyn Changing it's Name to Brooklyn Steak Co. This Upper East Side establishment (busy time for this neighborhood) has undergone a face lift and they are now open. We haven't seen the place yet but the owner promises it is nothing like before and so we'll be there tonight for dinner to check out the place. Follow us on Facebook, as we will post the new digs online. Six Thirteen opened 2 weeks ago at 108 Prospect St. in Stamford, CT, the former location of Kosh. Their menu features such entrees as Braised Beef Short Ribs, Herb Grilled Salmon, and Bone-in Ribeye among other dishes under the OU supervision. 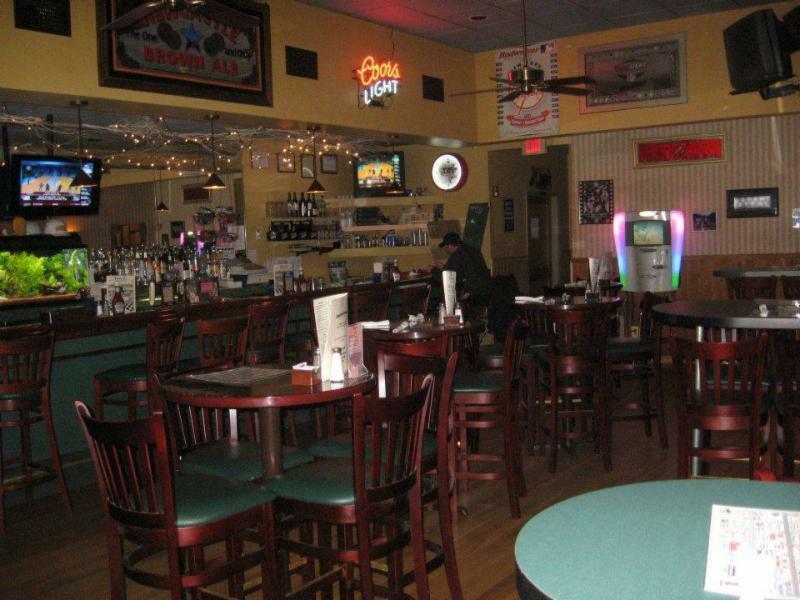 The restaurant also offers alcoholic beverages bar, which includes draft beer, wines, hard liquor and a selection of cocktails. Click here for their menu and here for more pictures. They're currently only open for dinner.